Breakfast is the most important meal of the day. 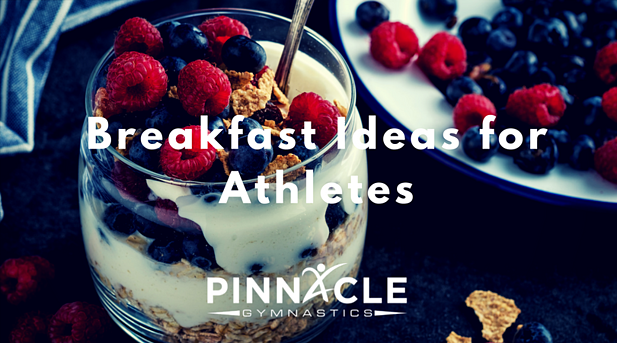 For athletes, breakfast is even more important! Having a great breakfast can launch an athlete into a successful day - both at school and at practice or the game. 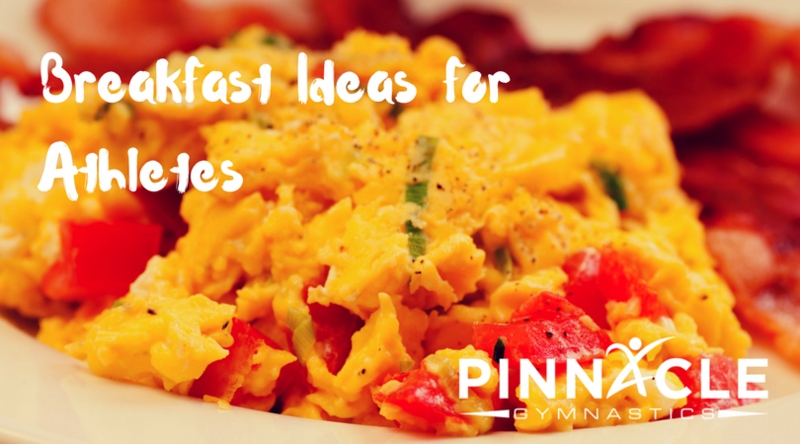 Here are some breakfast ideas for athletes. Start with vanilla greek yogurt. It is kid-friendly and full of protein. Cut up some fresh fruit and wash some berries. Pick out your favorite granola (mine is Bear Naked) and pour it into a small bowl. Next, ask the kids to make their own parfait. Layer yogurt, granola, and fruit. For added excitement, put them in parfait or ice cream dishes. For an even healthier version, try plain greek yogurt! Add some honey before putting in granola for a small burst of sugar in each bite. Greek yogurt has twice the protein of regular yogurt, which will keep you full longer. In addition, it is an excellent source of calcium, potassium, zinc, and vitamins B6 and B12. Berries are loaded with antioxidants, fight inflammation, and provide many nutrients. The granola in parfaits rounds out the healthy meal with high fiber content including both soluble and insoluble types. This fiber content aids in digestion. This combination of flavors is a kid favorite. You can purchase pre-made waffles, make then from scratch, or make batches ahead of time and freeze your own creations. Adding peanut butter brings in healthy fats and proteins needed to balance young (and old) appetites. Bananas provide 422 mg of potassium, an electrolyte with many essential jobs including conducting nerve impulses and muscle contractions. In addition to being a great morning breakfast food, bananas are wonderful on-the-go snacks for everyone. 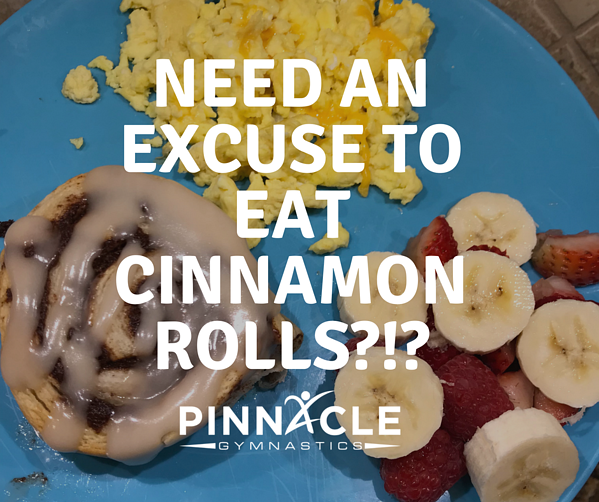 Yes, this might seem like an odd suggestion for an athlete, but adding a little "cheat" into the routine makes breakfast something to look forward to. Cinnamon is, perhaps, a super-spice, with it's healing powers. Cinnamon is high in antioxidants and lowers blood sugar levels. Adding protein and fresh fruit helps balance out the sugar levels that come with a treat like cinnamon rolls. Kids need calories. Stacking them in the morning helps young bellies stay full and allows them to focus during school. If you can't commit to cinnamon rolls, try quick and easy cinnamon toast. Whether you make it in batches in a toaster or put a cookie sheet full into the oven, adding some cinnamon to your breakfast schedule can help kick you off on the right foot. 4. Make a Breakfast Schedule! Having a successful week of breakfast starts with knowing the answer to: what's for breakfast? Skip the daily dip into the cereal box by creating a breakfast schedule that works for your family. Need some ideas? Check out my sample schedule below. Monday - Cereal and fruit. Limit to one bowl of "sugar" cereal. Then switch to plain Cheerios.